Before joining the UK’s Institute of Education, Prof. Greany was Director of Research and Policy at the National College for School Leadership for seven years. He has worked at the Design Council, the Campaign for Learning and the Cabinet Office. From 2005-2006 he was Special Advisor to the Education and Skills Select Committee and taught in Brazil, China and the UK. His original research interests were in the learning process and understanding the impact of ‘learning to learn’/metacognition on learning attitudes and outcomes. He has also studied the impact of learning environments in schools. As a former senior civil servant Prof. Greany had a particular interest in policy, both as a process and the ways in which it impacts in education. He is interested in school systems and how leaders operate within those systems, both as a result of deliberate and unintended policy-driven incentives and as a result of personal agency. Also he has always been interested in the intersections between policy, practice and evidence and the ways in which knowledge, expertise and capacity do or don’t move around within and between organisations. This underpins his interest in models for knowledge mobilisation, the development and impact of networks and collaboration, and approaches to leadership and professional development. Prof. Greany has a strong focus on research and theory-development which draws from and, in turn, informs policy and practice. For him this means retaining a critical perspective, whilst engaging in R&D-type models that actively engage practice where appropriate. Prof. Greany is being brought to New Zealand in July and August 2018 as a Canterbury Fellow at the University of Canterbury’s College of Education, Health and Human Development. The College has made him available as the designated ELF18 Keynote Speaker on 8 August. Aligning the intersections between education policy, practice and evidence to develop great teaching that makes a difference for student achievement. UK based Prof. Greany outlines models for knowledge mobilisation which demonstrate the ways in which knowledge, expertise and capacity move around within and between education organisations. He examines the development and impact of networks and collaboration and effective approaches to leadership and professional development in the context of what it takes to develop great teaching that makes a difference for student achievement. After teaching for over 20 years Mere began questioning whether, in her education role, she was perpetuating a problem for Māori or raising solutions. A research pathway began in the 90s that focused on schools collaborating with Māori students, their families and communities through relational and responsive literacy and behavioural interventions. In 2001, this work merged with the inception of Te Kotahitanga, an iterative research and professional development school reform programme. Through professional development and post graduate teaching this work continues. Mere is currently directing Poutama Pounamu, a bicultural team of scholars and professional developers who continue to work extensively with school leaders, classroom practitioners, Māori communities and other educators across New Zealand. On-going evidence of educational disparities for Māori students in schools continues to make education for equity a priority. Mere has written widely about this work and worked in these areas with key New Zealand stakeholders and indigenous groups from other parts of the world. For many students, belonging is not realised as education continues to underserve specific groups of clearly identifiable students (Organization for Economic Co-operation and Development, 2013). 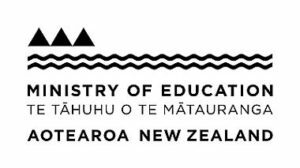 The Ministry of Education website tells us that Ka Hikitia – Accelerating Success is “our strategy to rapidly change how the education system performs so that all Māori students gain the skills, qualifications and knowledge they need to enjoy and achieve education success as Māori” (Ministry of Education, 2015). However, we are far from having achieved this for Māori, let alone other marginalised groups. This presentation will explore what a nationwide sample of senior Māori students said is required if schools are to achieve this vision of belonging. Moving beyond the rhetoric has important implications for all educators in New Zealand. Vaughan Rowsell, Founder of Vend, and OMGTech! Vaughan is the founder of Vend https://www.vendhq.com/, a New Zealand high-growth tech success story, with 20,000 customers worldwide and several high-profile investors, including Paypal Co-Founder Peter Thiel, Trade Me Founder Sam Morgan, and Co-Founder of Seek.com.au, Paul Bassat. He is also the founder of the OMGTech! charitable initiative to help kids into careers with future technologies, and is Vice Chair of the NZ Hi-Tech Trust celebrating the successes of the NZ tech industry. He is passionate about developing the next generation of innovators. He was EY’s Tech Entrepreneur of the Year in 2015 and is a regular TEDx speaker on the importance of challenging the status quo and trusting your inner weirdo. In the near future, everyone will either be a consumer of tech or a creator of it. Children’s charity OMGTech! is about giving kids the opportunity to be creators. OMGTech! develops and delivers engaging workshops for both teachers and students on digital technologies and how to explore and invent with them. Some young student participants in OMGTech! School-based workshops help Vaughan Rowsell facilitate an eye opening workshop for ELF18 registrants. Dr Amanda Lynn, PhD is an (applied) Economic and Social Anthropologist. Her work includes technology, organisational, industry, regional and national economic and social development. Dr Lynn is the Managing Director of Mandolin Associates, a boutique outsourcing consultancy. A former CEO of BERL Economics, and executive at Victoria University School of Government, Dr Lynn is currently Chair of the Innovation Partnership Forum on the Digital Economy. Dr Lynn has been engaged in policy and economic development since 2006 and is a former Top Exporter and Brand-New Zealand leader in advanced manufacturing of intelligent technologies. Informing study and work choices for secondary and tertiary students by understanding complex human behavioural research in relation to the development of entrepreneurs, new technologies, innovative organisations, growth industries and productive regional economies. Phil took up his appointment as Chief Executive of Otago Polytechnic in 2004. He has a diverse set of experiences and has developed a broad portfolio of expertise as both an academic and an administrator in both university and polytechnic environments. He is a successful tertiary leader and teacher, with expertise in curriculum development, assessment of student learning and leadership. He has had a lengthy teaching career including teaching economics, accounting, management and tertiary teaching practice; and has had a career long interest in leadership and leadership development, in the professional development of tertiary educators and in the recognition of prior learning. Phil’s particular interest is in business education, education for sustainability, staff development generally and leadership development specifically; and in the recognition of prior experiential learning. Phil enjoys cycling, and especially long distance road cycling now that his marathon running days are behind him. He is also a motor cycling enthusiast who takes every opportunity to ride his Har-ley Davidson through beautiful Central Otago. Travel, movies and reading crime and suspense novels are favourite pastimes he shares with his wife Glenys. Presentation: Micro-credentials: an old dog with some new tricks! Micro-credentials, which recognise smaller yet discrete sets of skills and knowledge are enjoying a resurgence worldwide, in response to increasingly expensive traditional qualifications and to employer demand for training that meets specific skill needs, especially those arising from rapid technological and societal changes. Micro-credentials enable people to show what they know and can do through digital certifications, not only facilitating further learning but also validating skills and knowledge already acquired. Through micro-credentials employers are able to quickly confirm that existing and potential employees have the right skills and experience and can also quickly address emerging skill needs. As the supply of micro-credentials grows a significant challenge will be the extent to which the market is regulated and the credentials are quality assured, as is the case with traditional qualifications. This presentation will consider the potential for micro-credentials in a contemporary qualifications framework, drawing on Otago Polytechnic’s new micro-credential service – EduBits – to highlight the advantages of micro-credentials for employers and learners alike. Mark’s passion is to communicate how we can best prepare all learners for the world they will live, work and play in. Based on the latest research into how the brain learns, Mark has developed a learning framework that provides educators with a developmental schema for how learning takes place. The learning process and the competencies lay the foundation for learners to have far greater agency (ownership) over their learning. Through an understanding of the learning process, all learners can build their capacity to become independent lifelong learners. The emerging new practices and processes empower learners with the capacity to learn more efficiently and effectively, anywhere, anytime and with anyone. Mark has written numerous books and articles describing the series of paradigm shifts in learning, including the most recent transformation educators need to address. In his presentations Mark explains how educators can best address the challenges that educators are currently facing and ensure that learner-educators are provided with the skill sets and capabilities they require for this century. Mark addresses the reasons for the multiplicity of changes that educators are currently experiencing in their profession as well as providing effective solutions and adaptive pathways, to create the learning environments that are now required by learners. Mark’s passion is to communicate how we can best prepare all learners for the world in which they will live, work and play. Based on the latest research into how the brain learns, Mark has developed a learning framework that provides educators with a developmental schema for how learning takes place. The learning process and the competencies lay the foundation for learners to have far greater agency over their learning. Through an understanding of the learning process, all learners can build their capacity to become independent lifelong learners. Over the past 12 years, Mark has been developing a series of resources that are underpinned by the neuroscience, sociology and psychology of how the brain learns. These resources have been created in consultation with numerous schools around the world and with clusters of schools in New Zealand, Australia (Adelaide) and Dubai. The resulting three resources collectively contribute to the Global Curriculum Project. In this workshop /demonstration Mark reviews the first two of these and previews the third. 2. The Global Competencies: The competencies are shifting from obscurity to the centre of the curriculum as they are now the essential capability builders across all aspects of our lives in this century. Schools are now seeing these are central to curriculum and this resource unpacks the six competencies in a manner that allows educators to apply them in the way they deem to be most appropriate. The OECD has recently announced that the ‘Global Competencies’ will become part of the PISA assessment process in 2018 – see here. 3. The Seven Learning Domains: The traditional ‘subject areas’ are no longer context based (thematic topics) but rather they are conceptually based and developed across five levels of conceptual development to build the necessary conceptual frameworks that underpin our capacity to be innovative and ingenious – the call of the 21st century. Collectively these three resources contribute to the development of each school’s unique curriculum offering. The Global Curriculum Project should not be seen as ‘the curriculum’ but rather as a series of resources that allow educators to refashion their curriculum in a way that is unique to them and meets their needs more precisely. Paula Tesoriero MNZM is a world champion cyclist, former senior public service manager and governance expert. Paula took up her appointment as Commissioner in August 2017. Paula has a high profile in the disability sector having served on several boards including the Halberg Disability Sport Foundation, NZ Artificial Limb Service, and Paralympics New Zealand. She also served on the Board of Sport Wellington and is a member of the NZ Sports Tribunal. As Disability Rights Commissioner one of Paula Tesoriero’s top priorities in the role is improving educational outcomes for disabled students. With 42% of disabled young people not in employment, education, or training, it is clear the New Zealand education system is not as inclusive of disabled students as it needs to be. For Paula making the education system more inclusive is key to improving employment and overall life outcomes for disabled people. However, to really shift outcomes Paula is resolute that attitudes towards disabled people must also change. In schools for example, disabled children are bullied at higher rates – this is an indication that we have a long way to go to ensure disabled children feel they are valued members of their classrooms, schools, and wider communities. Associate Professor Roberta (Bobbie) Hunter developed an inquiry-based approach aimed at raising maths achievement in low decile schools with predominantly Pasifika students for her PhD five years ago. In her ‘communities of mathematical inquiry’ approach – dubbed ‘Bobbie maths’ – pupils work together to unravel a problem, using a culturally-tailored approach. When applying mathematical concepts learners might refer to the weight of a taro, or dimensions of a tapa cloth. This culturally appropriate approach is a major factor in breaking down barriers that inhibit many from engaging and achieving in maths. The improvements resulted from a three-year period of Skype and face-to-face professional development sessions with teachers. Her aim is to see teachers in low decile schools across the country using the model. Dr Hunter’s teaching model is based on getting children to work collaboratively in groups to question, argue and reason their way through mathematical problem solving, using culturally-based examples and contexts. Its success hinges on training teachers to understand the approach and to learn how to facilitate it through drawing on cultural contexts that reflect the lives of their students. This means involving parents and communities too. It is about bringing in real world common sense to maths inquiry. Dr Hunter, who developed a love of maths through watching her Cook Islands mother measuring and making geometric patterns for intricate tivaevae (fabric art) patterns, says maths teaching needs to be done in a cultural framework using problem-solving examples that reflect the lives of the students. The approach can have benefits for student learning across all subjects, and can be adapted to students of diverse cultures in New Zealand or any country. But it requires some radical re-wiring in the minds of teachers about their role and how they relate to the class. Topic: “Bobbie Maths”: Raising mathematics achievement – The power of collaboration and culturally responsive teaching. Students in South Auckland, Christchurch and elsewhere are benefitting from the mathematical inquiry communities developed by Associate Professor Roberta Hunter and her Massey University team. The teaching approach is culturally responsive and supports students to work together to solve maths problems, accelerating achievement for the students involved. Developed initially as part of Prof. Hunter’s PhD, the approach was presented in BES Exemplar 1: Developing Communities of Mathematical Inquiry as a signature pedagogy to further support accelerated improvement for students. Xanthe Sulzberger has had many differing roles in education in both senior and middle management. She started her teaching at Waiopehu College in Levin before moving to Aquinas College in Tauranga and then to Botany Downs Secondary College. More recently she has had the role of Deputy Principal at Mt Roskill Grammar school, one on NZ largest secondary schools. In 2018 Xanthe has been appointed as Principal at McAuley High School where her passion to provide a quality Catholic education through an atmosphere where academic success and personal growth is expected for every student. Along-side Adrianne Alton-Lee, Xanthe has worked with the Ministry of Education initiative Best Evidence Synthesis on e-based Learning Logs and raising student achievement. This work has become part of the facia of assessment practice in New Zealand secondary schools with the ongoing growth of e-practice in our classrooms. Topic: Professional Change Leadership – Learning Logs: What works and why? In this session Xanthe will outline the emerging practice of learning logs in an e-learning context and how this simple pedagogical approach shifted practice and outcomes for students and helped remove the assessment logjam for teachers. She will take you through the practice of change leadership through her exemplar of e-practice, based on her work with the Ministry of Education’s Best Evidence Synthesis on e-based Learning Logs and raising student achievement. This work has become part of assessment practice in New Zealand secondary schools with the ongoing growth of classroom e-practice. Dr Annelies Kamp is a sociologist with over 25 years of experience in senior leadership roles and strategic management. Annelies was previously a National Management Advisor for Skill New Zealand and National Manager of the New Zealand Motor Industry Training Organization. She has also held the positions of National Co-ordinator of the Australian Pulp and Paper Industry Skills Development Unit, Research & Policy Manager –Through School to Work with the Brotherhood of St Laurence, and Strategy and Development Manager for Mission Australia. Annelies has been a Ministerial Board appointment in the adult, community and further education sectors (in both Australia and New Zealand). Most recently, Annelies was Deputy Director at the Higher Education Research Centre and Programme Co-ordinator of the MSc in Education & Training Management (Leadership) at the School of Education Studies at Dublin City University in Ireland. She is currently Associate Professor in Leadership in the College of Education, Health and Human Development at the University of Canterbury. The College is hosting UK-based Prof. Toby Greany in July and August 2018 as a visiting Canterbury Fellow and has made him available to speak at ELF18. -Aligning the intersections between education policy, practice and evidence to develop great teaching that makes a difference for student achievement. -Career development is a life-long pursuit. How can we support our young people to make successful decisions about their careers in the fast-paced and ever-changing world we now live in? Condensing current global thinking into a local perspective, Heather will discuss some of the realities and practical ideas to guide young people into an unpredictable future. Tracey was first elected to Parliament as a New Zealand First list MP based in Warkworth, in 2011. Passionate about opportunities for youth employment, Tracey and her electorate staff have worked with local businesses, schools, ITOs and government departments to create the Business Linked Internship Scheme. Tracey has been a member of the Education and Science Select Committee and had her member’s bill, Social Services (Orphans and Unsupported Children’s Clothing Allowance) Amendment Bill, passed with unanimous support at first reading and returned to the House from select committee with a recommendation that it pass into law. A great believer in giving back to the community, Tracey spent the majority of her pre-parliament time on parent based fund-raising and volunteer committees for Mahurangi Kindergarten, Warkworth Primary School and Mahurangi College. Tracey was elected to Warkworth Primary School Board of Trustees, and the Board of Trustees of Mahurangi College. During that time, Tracey was the fulltime at-home caregiver for her and Ben’s three children. She previously worked as the Credit Controller at Chapman, Tripp, Sheffield Young. Jackie is currently the Group Manager of the Ministry of Education’s Secondary-Tertiary Group. This group leads the design and implementation of programmes to increase student achievement, and improve the retention and progression of young people into further learning, training or work. The group’s responsibilities include oversight of areas such as NCEA and Vocational Pathways. Before her current role, Jackie was the Manager for Strategy, Performance and Governance at the Department of Prime Minister and Cabinet (DPMC) and Workforce Director at the Children’s Action Plan. The role at DPMC involved leading a work programme to support DPMC to achieve its strategic priorities and manage risk by ensuring it has sound strategy, effective governance and efficient organisational systems and processes. At the Children’s Action Plan, Jackie was responsible for the leadership and design of a transformational change across country’s children’s workforce to ensure the intent of the Children’s Action Plan and the Vulnerable Children’s Act (2014) is met. From 2011 to 2013, Jackie was the National Manager at the Ministry of Education for Learning and Change Networks. This involved establishing 52 Learning and Change Networks, totalling 480 schools and communities, which required a programme of leadership and change for schools and communities to move from competition to collaboration. Jackie was born and raised, and currently lives, in Hamilton. From the University of Waikato, Jackie has a Masters of Educational Leadership and Administration (2014) and degrees in Educational Leadership, Primary Teaching and Psychology (1984 – 1998). Jackie has two adult daughters and a whangai Tongan son. Outside of work, likes to train for and run half marathons. Shaun started with Oranga Tamariki as Regional Manager Youth Justice Waikato & Bay of Plenty on 1st May 2017. Before taking up his role at Oranga Tamariki Shaun was effectively managing a range of challenging portfolios, projects, facilities and services whilst a regional manager at Bupa Care Services NZ. In 2012 Shaun was the winner of the prestigious EEO/Diversity Works “Walk the Talk” Award. Prior to qualifying as a nurse Shaun had a varied career as a Registered Nurse, Farmer, Corrections Officer and Royal New Zealand Navy Medic. Prior to joining Otago Polytechnic, Andy led the Malcam Charitable Trust, a nationally recognised provider of youth development services. He also enjoyed a 17 year management career in the finance sector. He has extensive governance experience, in secondary education, NGO and community development organisations. -Tools and teaching platforms that enable learners in a secondary tertiary learning environment to gather evidence of individual capability, have that evidence assessed and verified, and then presented in an individual capability profile. Otago Polytechnic is lead provider of Secondary Tertiary provision in the Otago region, under the auspices of the Otago Secondary Tertiary College (OSTC). OSTC’s mission is to provide a discernible secondary tertiary learning environment in the region, which places the needs of learners at the centre of delivery, and provides an alternative to traditional secondary delivery. What are learner experiences that engage, and provide an insight into pathway? How can these experiences provide naturally occurring evidence of capability, that learners can readily incorporate into a learner capability profile? How do we incorporate this learner experience and the evidentiary outputs into required modes of learning assessment within programme requirements – ie Unit Standards/Graduate Profile Outcomes? Our programme delivery is underway, and in this session we will provide a summary of our findings from the pilot to date.